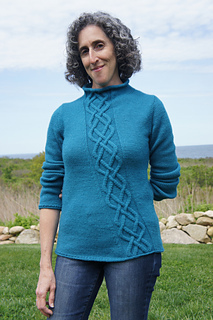 The pattern includes many video links with HOURS OF TEACHING!! 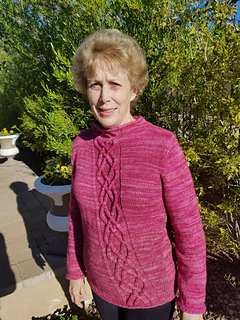 The video links will never expire - RED links in pdf, play them from your computer. 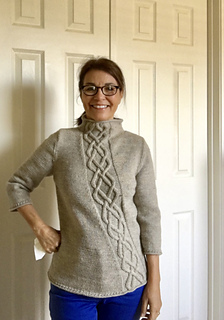 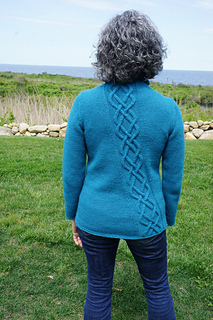 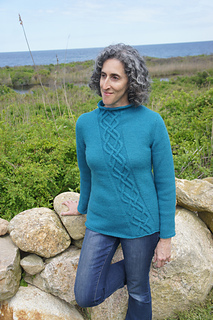 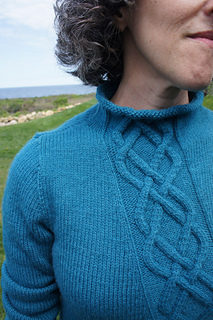 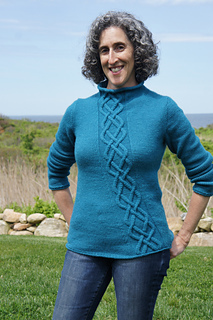 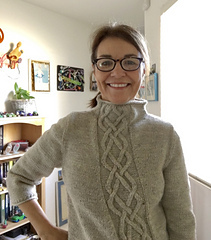 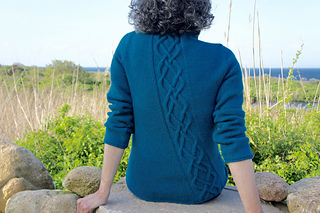 This cozy pullover features a nesting spade cable panel on the front and back of the sweater. 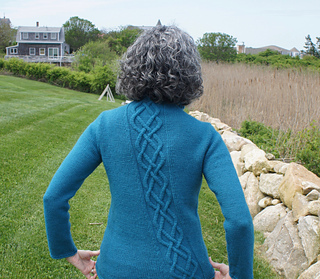 The cable panel travels diagonally across the sweater using decreases on one side and increases on the other side. 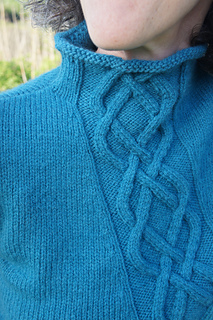 Short row shaping is used at the neck to bring the front of the funnel neck down. 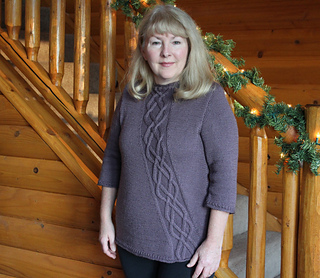 The hem, cuffs and neck feature a casual rolled edge. 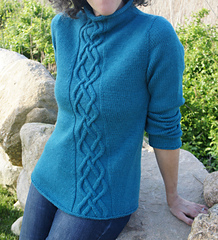 1)19 Video tutorials: hours of Video instruction on everything from gauge swatch to finishing. 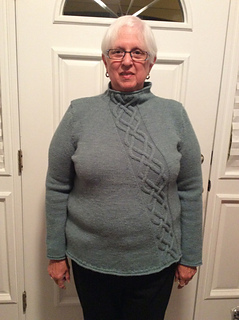 3) 5 Sweater modification notes making for difference sleeve & body length, adjustments for hip size, different neck options and even different gauge & size. 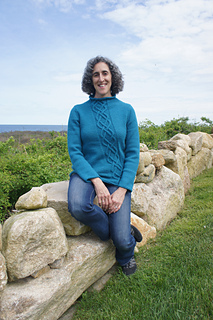 Make sure to join my Ravelry group to work along with other knitters. 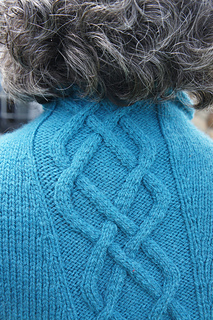 There’s also the amazing power of a group of knitters working together on the same pattern!